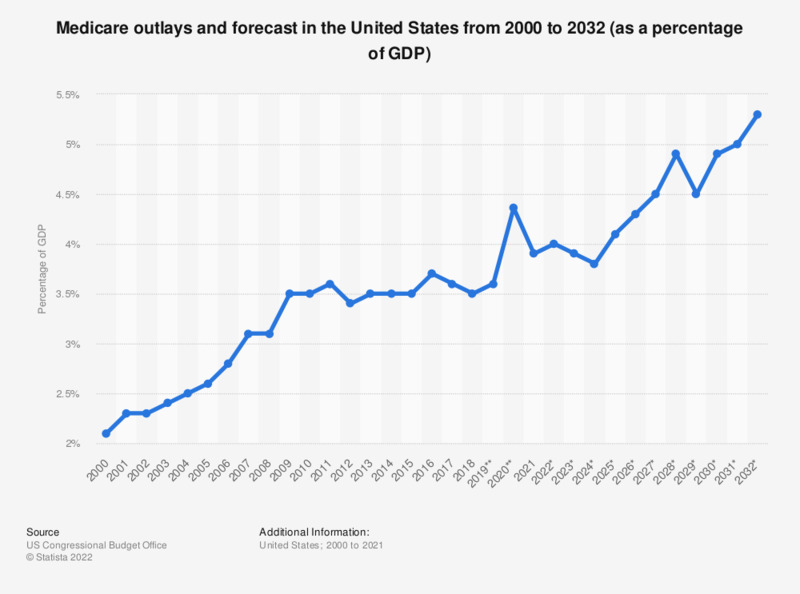 The statistic represents the U.S. Medicare outlays from 2000 to 2018 with an additional forecast from 2019 to 2029 as a percentage of the Gross Domestic Product. Medicare outlays amounted to 704 billion U.S. dollars in 2018, which was about 3.5 percent of the U.S. GDP. The forecast predicts an increase in Medicare outlays up to 1,519 billion U.S. dollars in 2029, which would be about 4.9 percent of the projected U.S. GDP. * The data for 2019 to 2029 are projections.